Her name says it all. She is really the maiden of Adriatic seas. 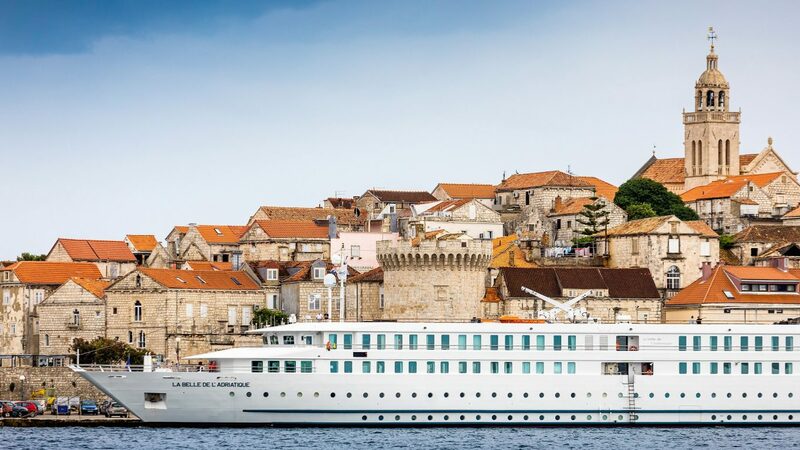 Sailing under Belgium banner and French ownership, La Belle de l’ Adriatique is an impressive tourist cruiser that has been assigned to voyage Adriatic region. She has recently visited Korcula Island in Dalmatia, and her impressive size covered most of central settlement promenade on the photo above. 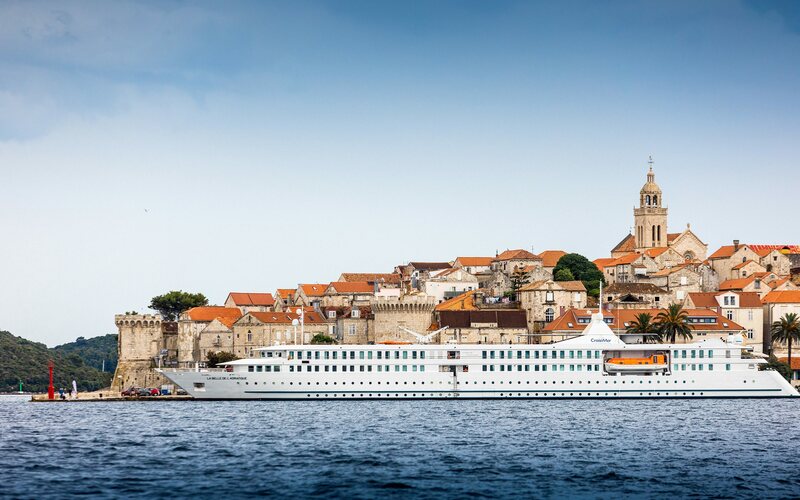 La Belle de l’ Adriatique has 111 meters in length and can accept up to 250 passengers. A five-decker comes with many luxurious features such as dancing floor and private library. In addition, it has special stabilization system that lowers the influence of waves, allowing for pleasurable stay. Its bottom has been designed in a way that allows sailing in shallow seas, making it very maneuverable in Mediterranean region. 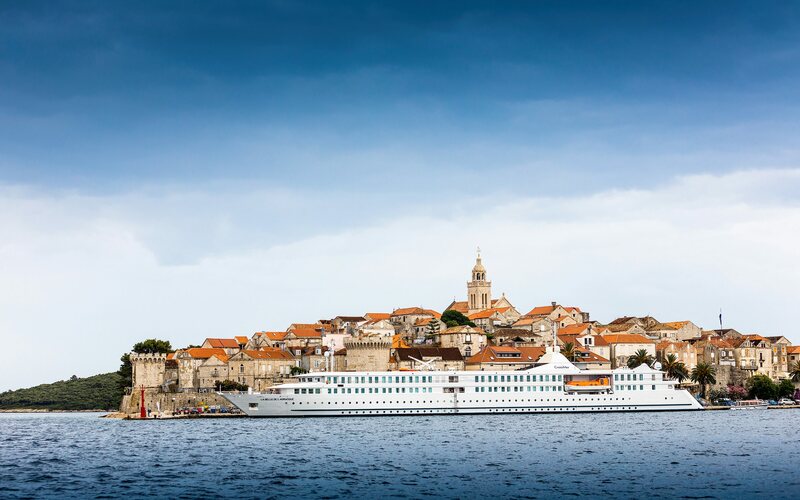 Visiting Korcula onboard La Belle de l’ Adriatique is certainly a beautiful experience. 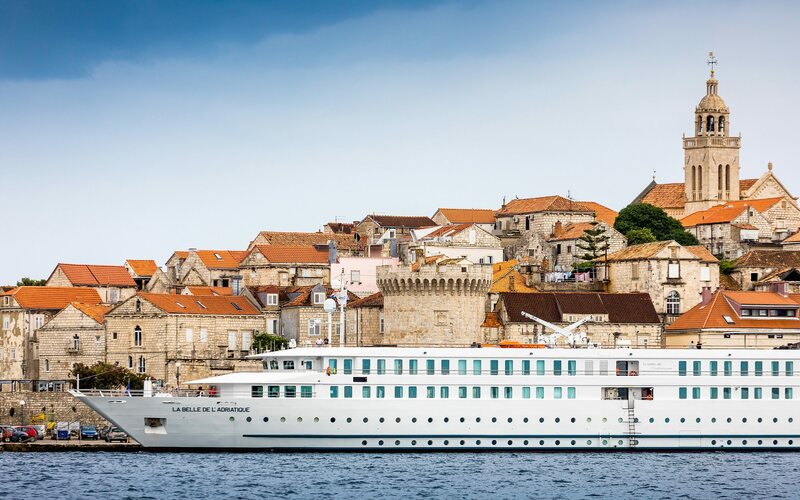 Consider becoming a crewmember and having a unique cruise in Croatian Seas. If that being a case, don’t forget us! Send a few photos of your own to our Facebook Wall and earn a chance to become our media contributor of the day.